Introducing: Exstep Compact Flash (CF) Drive for Canon Steppers. Traditional hard drives and floppy drives have one common problem, the moving (spinning) mechanism fails and the drives become useless. In addition, these drives are obsolete ; you cannot find any new unit. 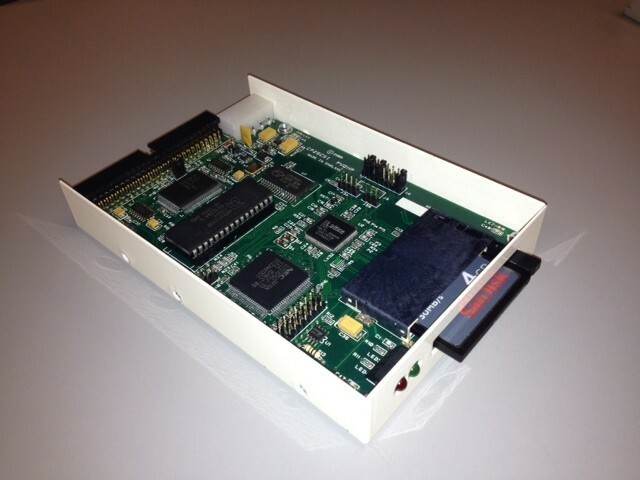 To cope with this problem, we came up with our SCSI CF drive, a drive that uses a CF card media. The drive is a lot more reliable than a traditional drive because there is no moving mechanism. It runs a lot faster because it is a solid state device. Besides, it can use 1, 2, 4, 8, or 16 GB CF card.